Everyday thousands of vehicles of all shapes and sizes go under the hammer, it’s where used car dealers buy a lot of their stock and it’s where you can buy your next car too. There is the potential to save thousands, but there are few gotchas too, here’s our guide to help you on track to a bargain buy. What are the different types of sales? 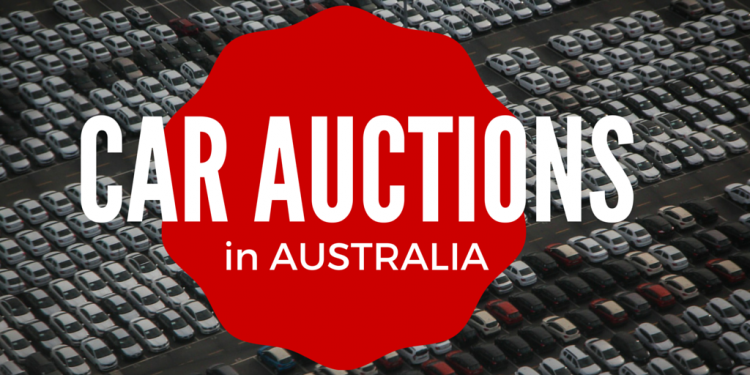 Government Car Auctions – as you would expect from the name, feature vehicles that have come from either local council, state or federal government. Some vehicles may be specialised, such as police interceptors, emergency services vehicles, ambulances and so on depending on the sale. These auctions may also include ex-lease vehicles which generally feature less than 50,000 kms on average, although it is not unusual to see cars with only 10,000 kms or some with over 100,000 kms especially if it’s a specialised vehicle. Ex-Lease – most large corporations in Australia lease their vehicles from a finance company, dedicated vehicle leasing company and even direct from the manufacturer. These vehicles usually stick to the log book maintenance schedule and are sold off usually around the time the warranty ends, or the lease contract terminates, etc. It’s common to come across vehicles that still have factory warranty remaining, and this category, like ex-gov sales above, is popular with people looking for savings on a near new vehicle. Finance Repossession – cars that are repossessed by finance companies from people or companies who have defaulted on their loan. The finance company auctions the vehicle to recoup the money (or part of) which they have lent. 4WD and Commercials – if there is a large number of a certain vehicle type sometimes they’ll have their own special lane, a good example is 4WD and Commercial vehicle sales, other examples include classic car, prestige and luxury car auctions etc.etc..
‘Clearance Lane’, ‘Value Cars’ or ‘Under 10,000 lane’– vehicles in this lane or category can come from just about anywhere including finance repo, seized vehicles, private sellers and dealer trade-ins etc.. From my experience cars in these types of lanes go anywhere from $100 to well under $10,000. Damaged and Salvage Auctions – vehicles here are generally cars that have been written off by insurance companies. They can be written off due to accident damage, flood damage, hail damage or as a stolen and recovered vehicle. Vehicles can be deemed ‘repairable write offs’ or ’statutory write offs’ with the later unable to be re-registered, more here. Why do cars go to auction? It’s a question you should always ask, why is this car here? In some cases it’s obvious, like a repo car or ex-government car, but it gets a little more difficult with general sales. Sometimes people use general sales as a dumping ground for problem cars, so don’t make it your own unless you know what the problem is and how to solve it. Used car auctions can usually be found in every major city and most large regional centres. Two of the larger names in the industry are Manheim motor auctions and Pickles Motor Auctions, which have sales in every state, and sell vehicles on behalf of government, police, defence, ex-lease, insurance companies and major corporations. There are many other dedicated vehicle auctioneers which hold regular sales for all vehicle types. Keep an eye on Saturdays paper for notices and, of course, check the auction centre list, and if you know what type of vehicle you are after, look for it via the auction search engine. Will I get a bargain? Personally I often see people pay way too much for items, and quite often I see things go really cheap, but like they say things are only worth what someone is willing to pay. At the end of the day it’s your money, and you have to establish what the value of that item is to you. A sensible approach is to base that on market value, which you can establish via research of what certain model cars are selling for. Although, sometimes establishing market value isn’t as easy as it sounds, as you have to take into account the condition of the vehicle, kilometers and options and try to compare apples against apples. Remembering also, that the car bought at auction will not include warranty (unless there is factory warranty remaining) and any costs to get the vehicle on the road and registered. Also be aware of model peculiarities, for example in Toyota Landcruiser, a petrol engine version is generally cheaper than a diesel engine version, you may think you are getting a cheap Landcruiser but you may actually not be! In other vehicles, a model with the 1.8 L engine may be worth more than the 1.6L etc. etc. I think you get the idea, do your research! Most auction centres allow some kind of pre-inspection prior to auction, so, make the most of this time. Before going to the auction make sure you know your budget and allow for costs like repairs, roadworthy and registration. Vehicles are generally not sold with any registration, so check with your local registration office if a permit can be obtained to drive the vehicle, otherwise vehicle cartage operators are generally not to far away on auction day. READ THE CONDITIONS OF SALE, read through and ask questions if unsure, be aware of the fees and taxes that may be added to the final price and listen to the auctioneer when they mention terms or conditions etc.. Prior to going to auctions, visit car yards and dealers to see what the type of car your’e interested in sells for, what to expect condition wise, and determine the yard value of the vehicle. Also check what the vehicle sells for privately via classified sites etc. Get a feel for things, go to a few car auctions, without your wallet, and get comfortable with how things flow. Most auction centres offer prior inspection, so if possible visit the auction site with a mechanic. Know what you are bidding on, ask the auctioneer questions prior to auction. Keep in mind any possible reconditioning that needs to be done, remember little things add up, like new brake pads, an oil seal, a muffler etc. so allow for the things you cant see. On auction day get a feel for who’s who at the auction, are you bidding against dealers, wholesalers or public. There are many strategies that people use at auction, some may bid aggressively to scare off other bidders and make the auction move fast, and some may sit in the background and pounce when the hammers near to fall. If you’re successful, you may have to make a deposit on the fall of the hammer and arrange for final payment to take place, which is usually required within 24 hours. You’ll also need to arrange towing. Be wary of ‘import’ vehicles and why they are at auction, try to get confirmation from the auctioneer as to whether it can be re-registered. MERCEDES BENZ C240S . 141000KMS.LOG BOOKS REGISTERED.NO RESERVE!!! 1989 Holden VN Executive NO RESERVE. 1989 Holden VN S Pack with books NO RESERVE.